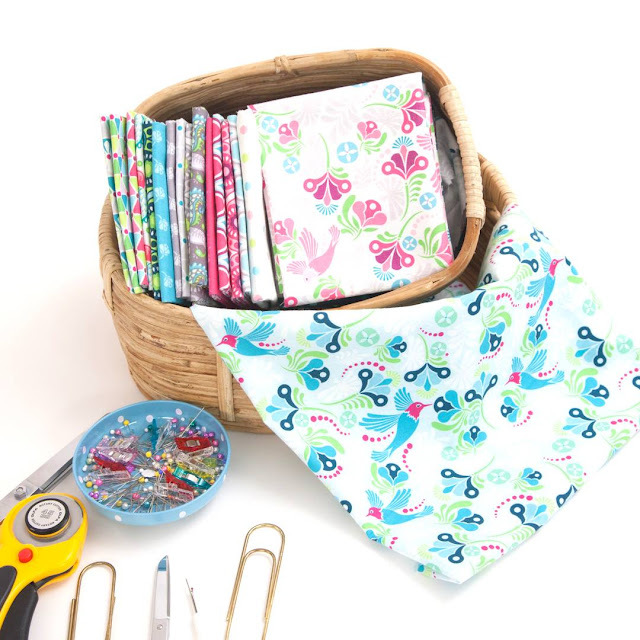 Flit & Bloom, as the name suggests, is a sweet fabric line that merges birds and flower imagery in a "cool" color palette with lots of soft grays, navys, teals and greens with a splash of hot pink added for good measure. 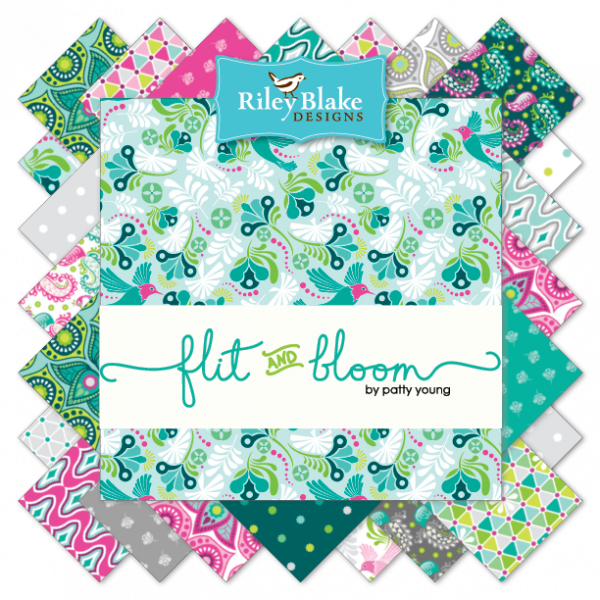 This is my 4th line with Riley Blake, and it is printed in premium quality quilting cotton. There are 7 designs in 3 color ways... you can view the entire line here. Here's some sewing inspiration. This is the Paige Spring Jacket sewn in Peacock Paisley Teal with a Blossom Teal lining and accents. We always reprint covers of at least one or two paper patterns when I have a new fabric line coming out. This time, we chose two of our most popular patterns, Kyoko and Claudia (both available on our website). Enter our giveaway for a half-yard bundle (7 pieces) of one of the colorways in Flit & Bloom! This means there are 3 bundles to give away and so many ways to enter! 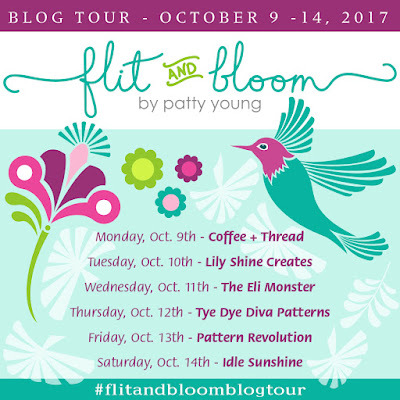 Last but certainly not least, please visit the following 6 stops on our Flit & Bloom Blog Tour which begins today and give these lovely designers some much deserved love. Each an every one of their creations is so special! What a lovely bundle! I love that jacket. Ohh lovely fabric, looking forward to seeing all the creations made from it. Love sewing with your patterns Patty! Another gorgeous line. I can't wait to buy some! 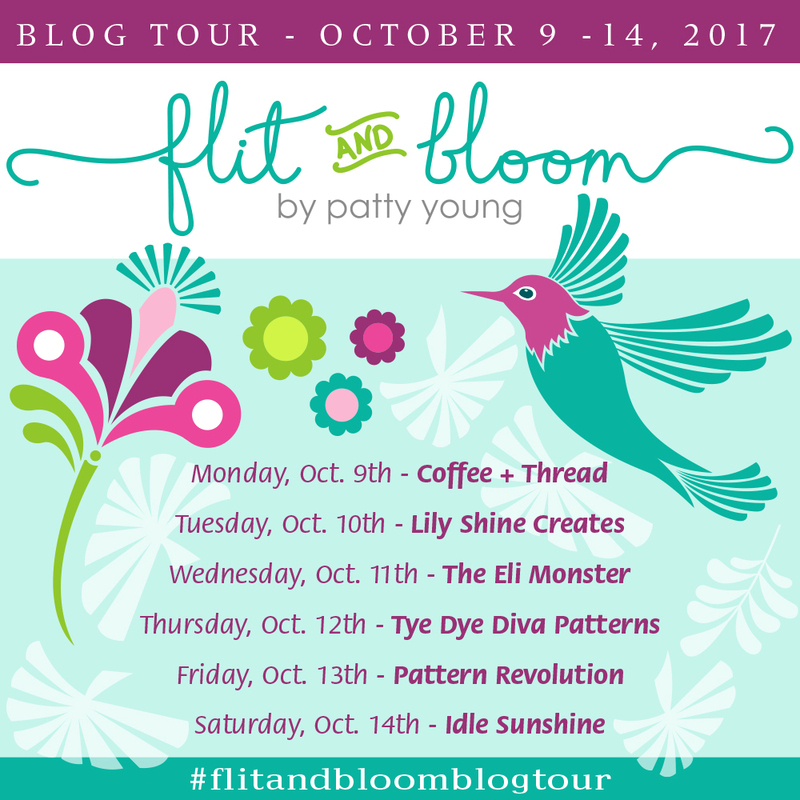 Love your blog and your patterns! Love your fabrics! I don't know if you realize, but none of your links worked for me to get to the sites in Instagram. I searched for them, and hopefully found the correct ones. It's such a lovely fabric collection! Gorgeous fabrics and beautiful designs! I love these bright and cheery colors! Very pretty, thanks for sharing and the giveaway! I love this collection! It's so fresh, lively, and playful without being cutesy...sophisticated with a side of sass. I can see so many different projects to make with it, too. Women's and girl's apparel, bags, pillows, fabric baskets and organizational tools...I'm getting excited! Thanks for such a beautiful collection, Patty. I can't wait to get my hands on some and start sewing with it!